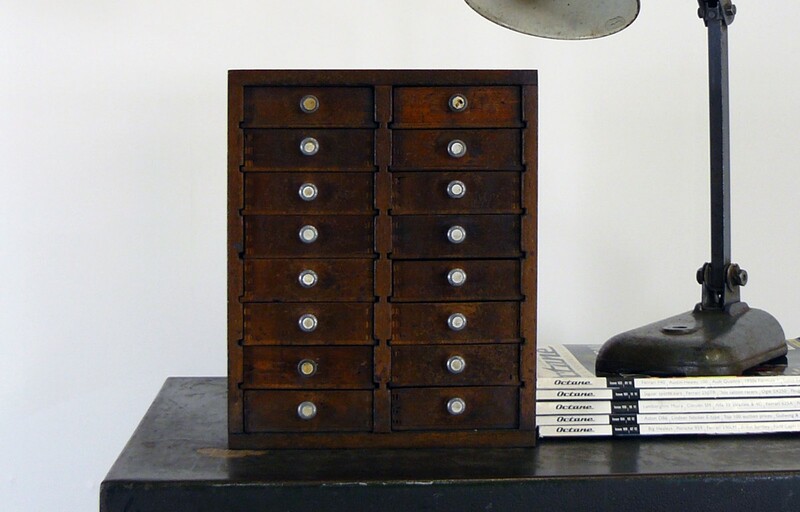 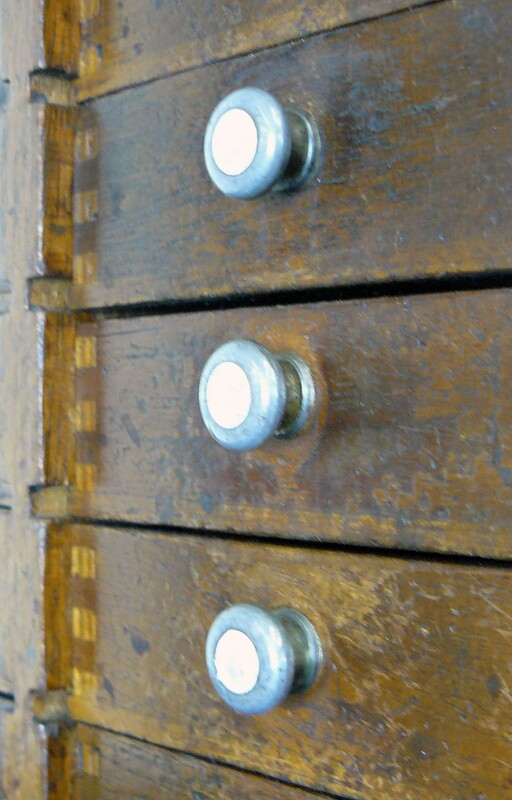 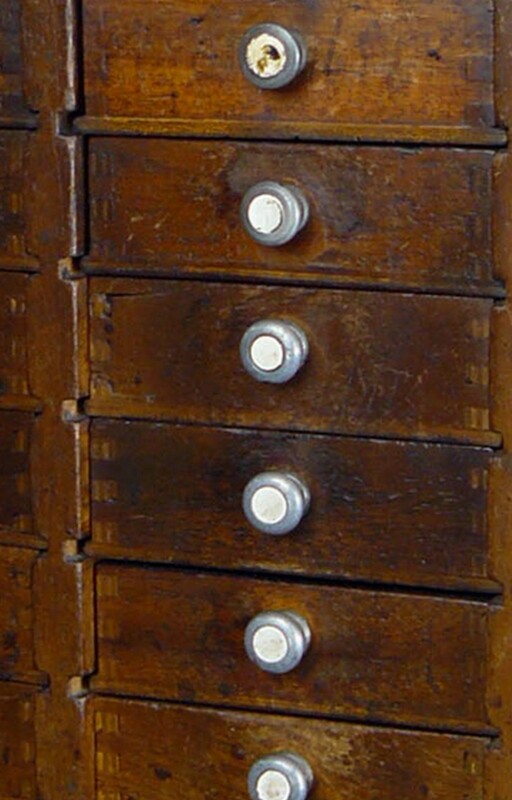 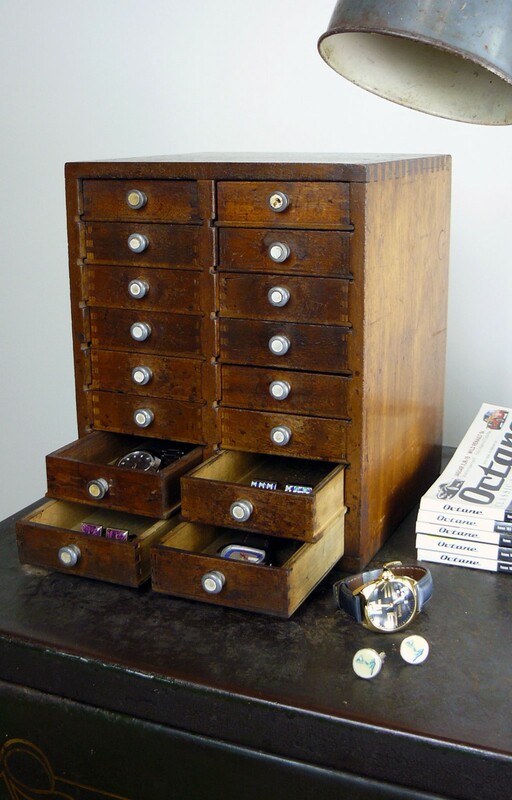 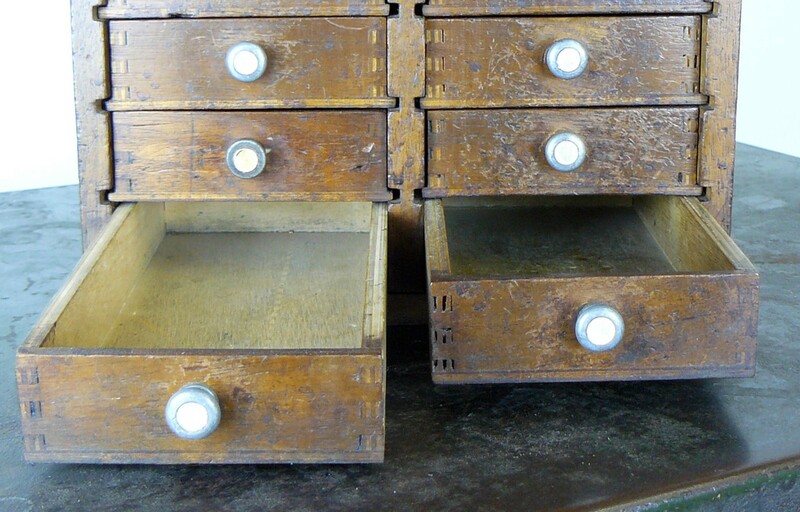 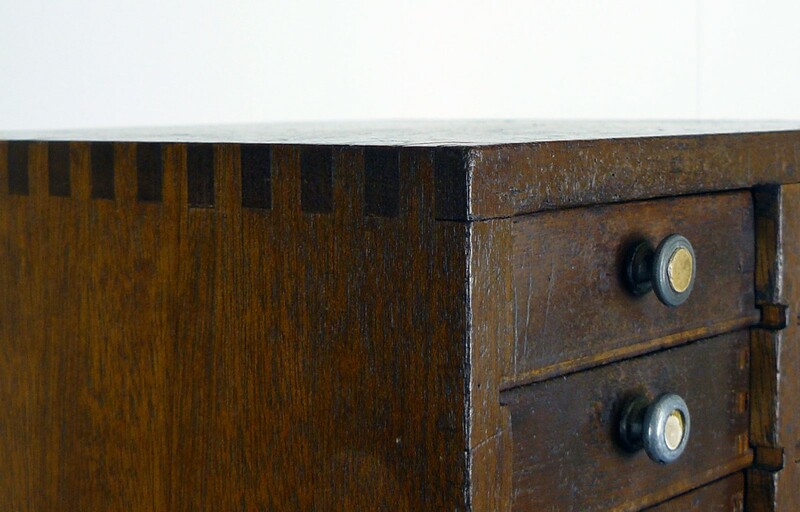 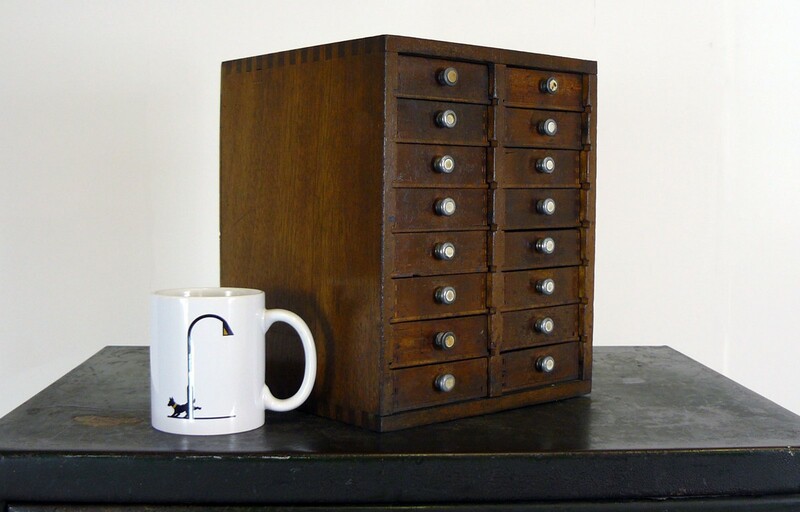 One of our finds from the Albion Street Works - a watchmaker’s worktop tool cabinet in an as found condition. 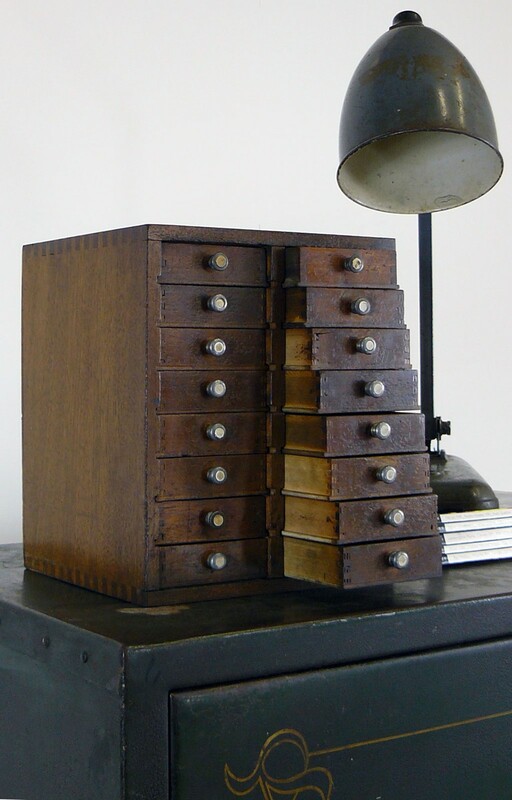 We have a few more of these and they have wonderful true wear, used by the craftsmen of the Albion Street Works to keep small tools and pieces of watches in. 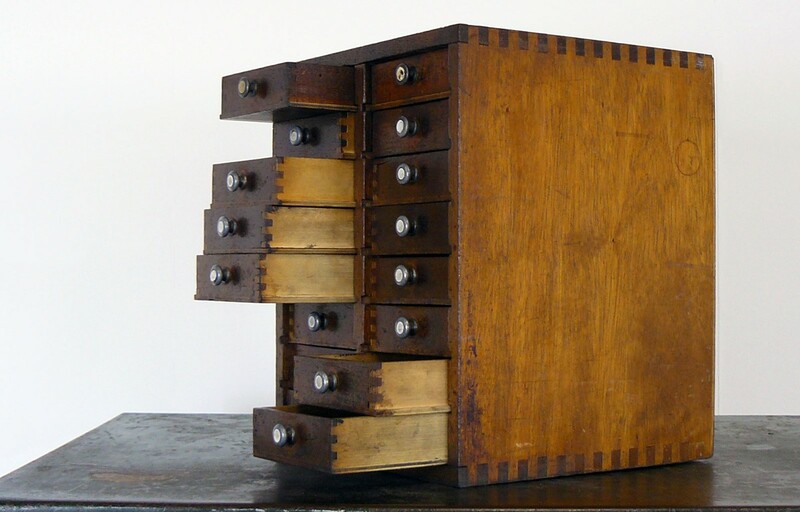 The 16 drawers are compacted into a neat cube and are running fine. 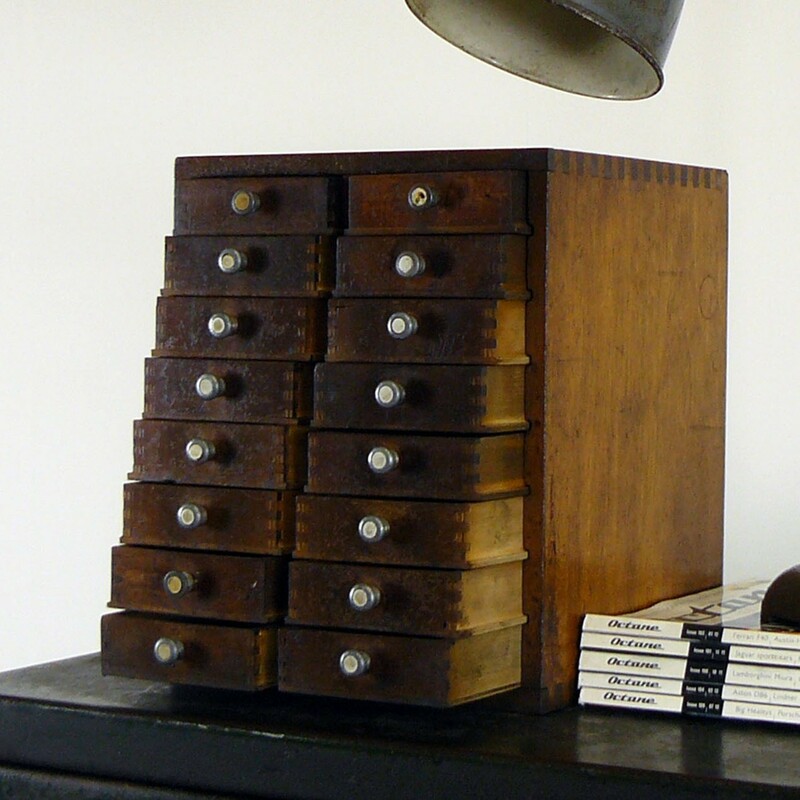 We would say from around the early 1940s. 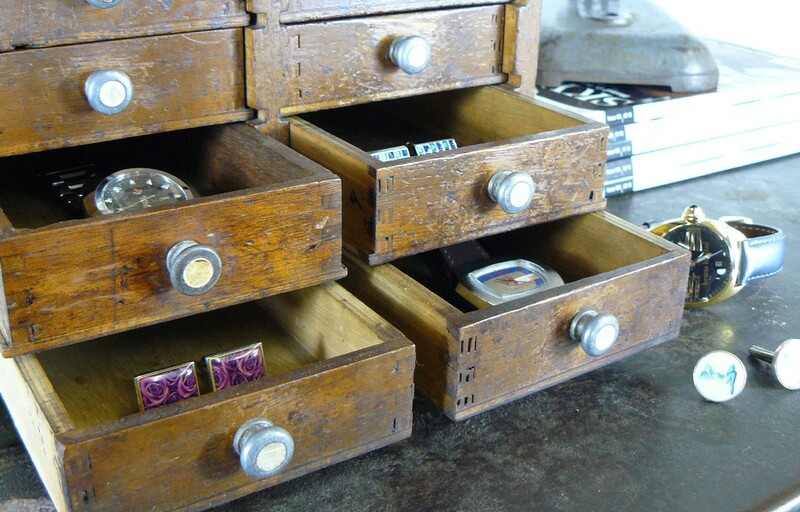 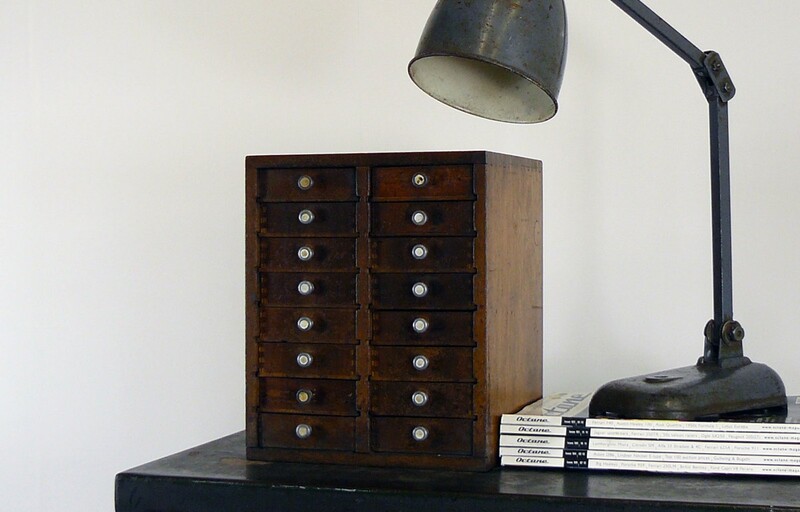 The perfect size for jewellery, watches and cufflinks. 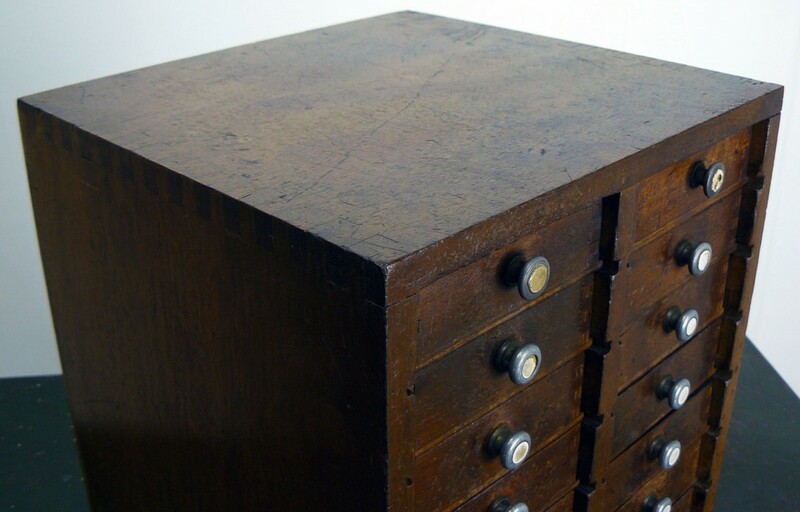 A great looking workshop piece with provenance and getting difficult to find in this condition.